We Repair Telford Computers In-house. Unlike others (eg; PC World) we do not send computers away for repair. This means that we know what was done and by whome (only qualified engineers work on customers computers). 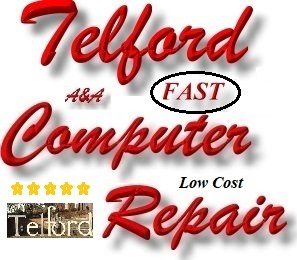 It also means that Telford Computer Repairs are Fast (repairs often take hours rather than weeks). 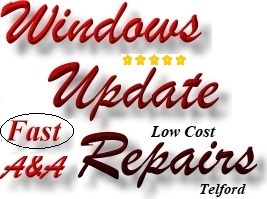 All Telford Computer Hardware Repairs include a free Computer Service, whilst Telford Computer Software Repairs include Telford Computer Updates. Before commencing work, we Backup Customer Files before starting work on (repairing) software issues. We also Backup Customers Files before Installing a Solid State Drive in Telford or Repairing a Virus in Telford. A&A Telford Computer Repair offer fast, reliable, low cost, high quality Telford Computer Repair and Telford Data Recovery. We also now offer Ethical Computer Hacking. Every client receives a first class Telford computer repair and first class Telford computer support at low cost. 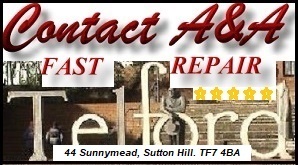 A&A Telford Computer Update Repair. Please note that we are a . We have special tools which ensure that updates are installed correctly. 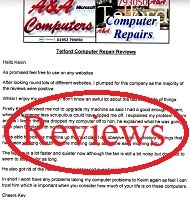 A&A Telford Computer Software Repair. We spend the time to ensure that installed Software simply works. A&A Telford Data Recovery and USB Repair. 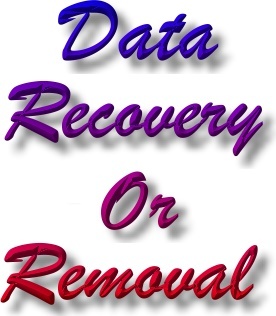 We use dedicated professional software which can recover deleted files etc (even if a drive has been formatted). 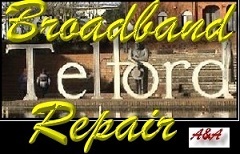 A&A Telford Computer Repair is based in Wellington, Telford, Shropshire. We repair all major computer brands, we offer Telford Apple Computer Repair, Telford Gaming Computer Repair with UK based computer support with skilled Telford computer engineers, fast Telford computer service and excellent Telford computer maintenance. 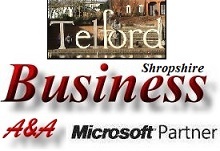 We offer Telford, Laptop Repair, PC Repair, Computer Virus Removal and Reinstallations. 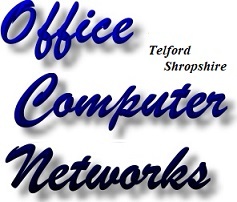 Based in Orleton Lane Wellington, Telford, Shropshire, UK, A&A Computers are just 15 miles from Shrewsbury. A&A Computers - Genner Communications are ideally located to provide a low cost computer maintenance, computer and computer support service to the entire UK. This web site is effectively our online UK computer shop. We Do Not send computers for repair (unlike some other computer repair companies). This means that we are faster, we are cheaper and only skilled experienced engineers will work on computers handled by A&A Telford Computer Repair. 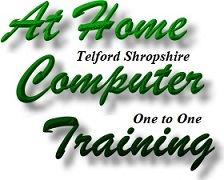 We originally set up A&A Telford Computer Repair to provide a high quality - low cost computer service for PC, Laptop, Notebook and Netbook	computer users and small business computer users who find that they need local IT support which is tailored to their individual requirements.